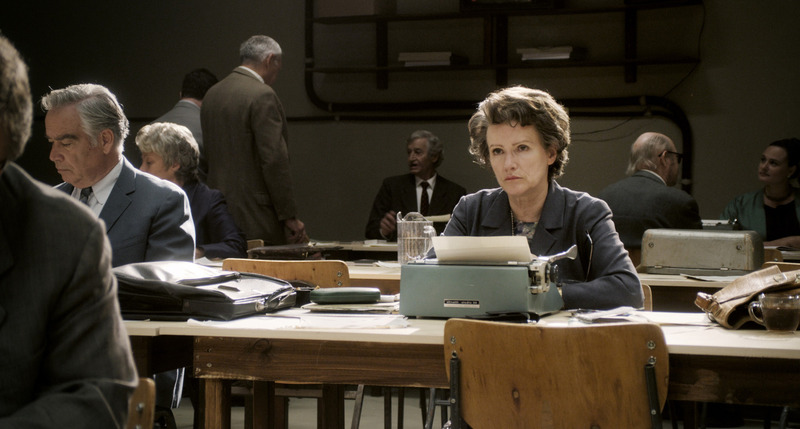 In the award-winning HANNAH ARENDT, the sublime Barbara Sukowa reteams with director Margarethe von Trotta (Vision, Rosa Luxemburg) for a brilliant new biopic of the influential German-Jewish philosopher and political theorist. The film is centred on her coverage of the 1961 trial of Nazi leader Adolf Eichmann in Israel for The New Yorker, which she also published as a book. In her writings, she proposes that Eichmann is not an evil man, but an ignorant and stupid one instead, coining the phrase “the banality of evil”. The concept stirred controversy throughout the world upon its publication in 1963. She also implies that Jewish councils outside of Germany may be implicated in the extermination of Europe’s Jews, for not providing a stronger resistance to the Nazis. The film, by covering this small time in Arendt’s life, manages to capture her distinct characteristics, and provide an introduction to her philosophies. Arendt’s reporting on the 1961 trial of ex-Nazi Adolf Eichmann in The New Yorker—controversial both for her portrayal of Eichmann and the Jewish councils—introduced her now-famous concept of the “Banality of Evil.” Using footage from the actual Eichmann trial and weaving a narrative that spans three countries, von Trotta beautifully turns the often invisible passion for thought into immersive, dramatic cinema. 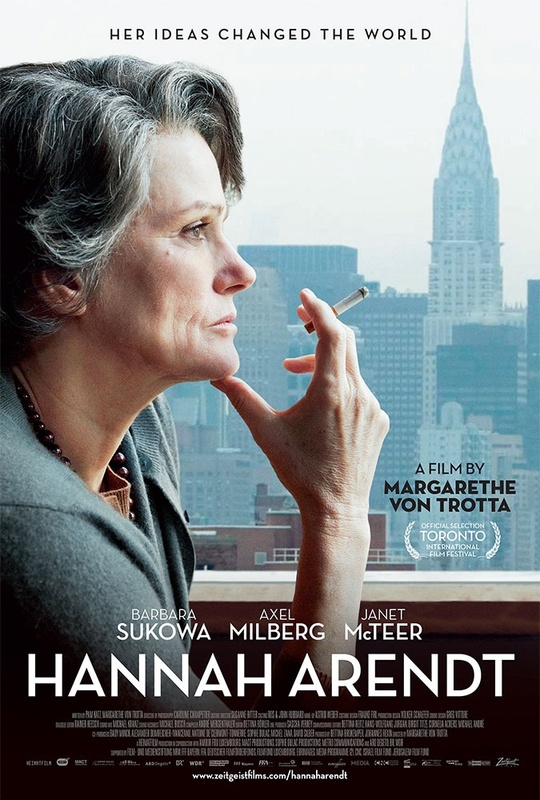 An Official Selection at the Toronto International and New York Jewish Film Festivals, Hannah Arendt also co-stars Klaus Pohl as philosopher Martin Heidegger, Nicolas Woodeson as New Yorker editor William Shawn, and two-time Oscar Nominee Janet McTeer (Albert Nobbs) as novelist Mary McCarthy. The banality of evil is examined in this solid and intelligent account of Arendt’s controversial conclusions on the trial of Adolf Eichmann. Deftly blending low-key drama with archival black-and-white footage of the Nazi’s cross-examination, director Margarethe von Trotta raises thorny questions about complicity and guilt, conclusions which caused outrage when first aired in the pages of the New Yorker. Award-winner Barbara Sukowa is excellently measured in the title role. Adolf Eichmann was living among a fraternity of former Nazis in Argentina, before Israeli agents captured him and spirited him out of the country and to Israel for trial. Adolf Eichmann in the Jerusalem courtroom where he was tried in 1961 for war crimes committed during World War II. Eichmann’s writings include an unpublished memoir, “The Others Spoke, Now Will I Speak,” and an interview conducted over many months with a Nazi journalist and war criminal, Willem Sassen, which were not released until long after the trial. Eichmann’s justification of his actions to Sassen is considered more genuine than his testimony before judges in Jerusalem. Writing in The New Yorker, she expressed shock that Eichmann was not a monster, but “terribly and terrifyingly normal.” Her reports for the magazine were compiled into a book, “Eichmann in Jerusalem: A Report on the Banality of Evil,” published in 1963. Arendt famously insisted that Eichmann “had no motives at all” and that he “never realized what he was doing.” That evil, Arendt argued, originates in the neediness of lonely, alienated bourgeois people who live lives so devoid of higher meaning that they give themselves fully to movements. It is the meaning Eichmann finds as part of the Nazi movement that leads him to do anything and sacrifice everything. Such joiners are not stupid; they are not robots. But they are thoughtless in the sense that they abandon their independence, their capacity to think for themselves, and instead commit themselves absolutely to the fictional truth of the movement. Arendt’s insisted we see Eichmann as a terrifyingly normal “déclassé son of a solid middle-class family” who was radicalized by an idealistic anti-state movement. But she did not mean that he wasn’t aware of the Holocaust or the Final Solution. She knew that once the Führer decided on physical liquidation, Eichmann embraced that decision. What she meant was that he acted thoughtlessly and dutifully, not as a robotic bureaucrat, but as part of a movement, as someone convinced that he was sacrificing an easy morality for a higher good. Margaretha von Trotta’s film is not a documentary, but it incorporates archival footage of the trial. The director felt the footage was essential because it let the viewer encounter Eichmann directly. This time, a new critical consensus is emerging, one that at first glimpse might seem to resolve the debates of a half century ago. This new consensus holds that Arendt was right in her general claim that many evildoers are normal people but was wrong about Eichmann in particular. Hannah Arendt in her Manhattan apartment, 1972. Arendt published the most controversial work of her career in 1963 with Eichmann in Jerusalem. Arendt covered Eichmann’s trial in Isreal as a correspondent for The New Yorker in 1960, when Isreali security forces had captured the S.S. lieutenant colonel responsible for the transportation of Jews to death camps. Eichmann in Jerusalem is the collection of revised articles from her coverage of the trial. According to her text, Eichmann had not had a sadistic will to do evil, but had been thoughtless; he had failed to think about what he was doing. Her concept of the banality of evil caused considerable friction between herself and the organized Jewish community, as her book was read by some as an elevation of Eichmann’s character and a questioning of Jewish innocence. Arendt was concerned that the ability to act according to conscience and rational thought was becoming obscured by partisanship and nationalism, combined with modernization. Most of her writing studies the sense of a shared world and the possibilities of freedom grounded therein.